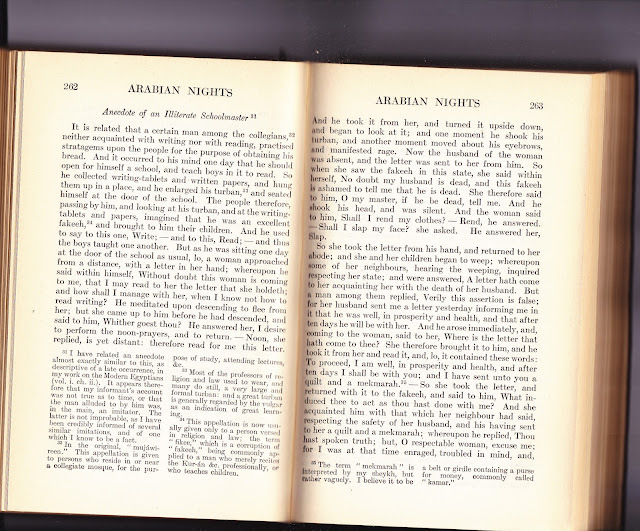 I couldn't resist this story of "An Illiterate Schoolmaster" from the many tales commonly called The Arabian Nights. It stands on its own, but I always would encourage finding as many translations as possible before re-telling. Edward William Lane did this version and the Wikipedia article gives an interesting insight into how this 19th century British son of a minister and grandnephew of the artist, Gainsborough, came to fall in love with Egypt and move there. As the article mentions, there are varying opinions on his translations. Such opinions seem to follow the many interpretations of these stories, but it's also interesting to compare the way a translator working in the 19th century differs from contemporary versions by Husain Haddawy and still more from re-tellings for children or oral storytelling. Gifted author and anthologist Carolyn Sherwin Bailey has so many books in Public Domain, the trick is selecting just one of her many offerings. That will be a tough choice, so check back to see what appears.